With Artificial Intelligence at the forefront of so many conversations about business technology, it has become hard to identify real opportunities for implementation. Is it possible to dip your toes into AI without taking the full plunge? Why an Intelligent Front Door is a low-risk high reward first step. 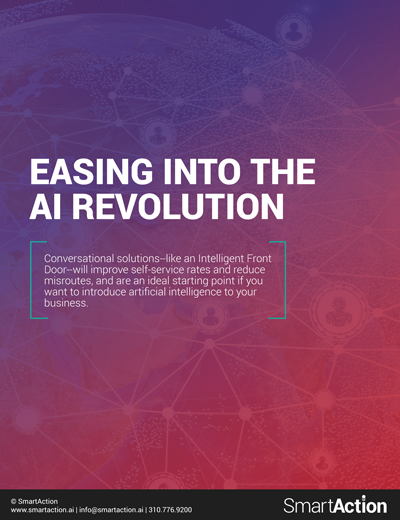 How conversational, intelligent solutions solve customer experience problems. Three additional business benefits that help you meet your goals.